I took the day off from work two weeks ago and drove to Cades Cove, a stunning valley in the northwest corner of Great Smoky Mountains National Park. In fairness, the day trip wasn’t to get away from work but to cleanse my mind upon the aftermath of what may have been the meanest mid-term political election in U.S. history. ‘Murica. But America, despite her flaws, is also home to some of the most natural beauty in the world. The wide-open spaces of the west house such wonders as Monument Valley, Yosemite National Park, and the Grand Canyon. Space comes at more of a premium as you cross over the Mississippi and continue east, but beauty isn’t in short supply out here, either. My current state of Tennessee and my neighboring state of North Carolina share hosting duties for what may be the most jaw-dropping sight in the Eastern Time Zone: Great Smoky Mountains National Park. 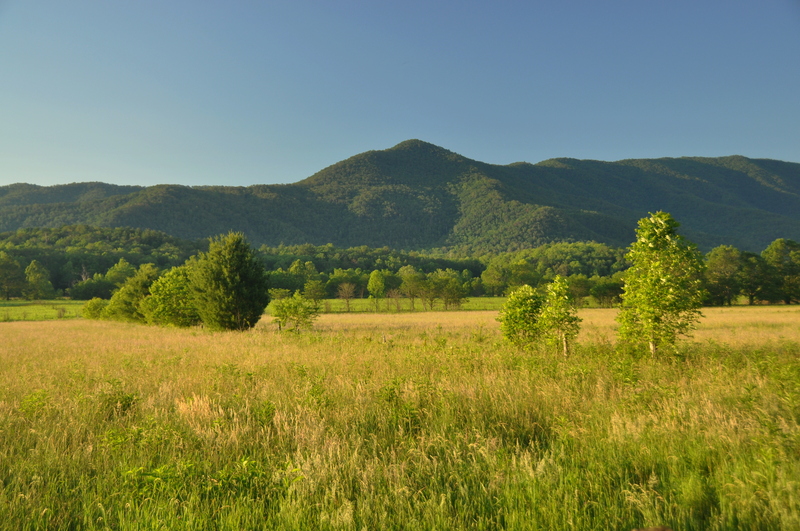 The Smokies of the title join the majestic Blue Ridge Mountains as the southern half of the Appalachian chain of mountains. If you’ve seen the movie “A Walk in the Woods,” or better yet if you’ve read the book, you’ll recall that the 2,100-mile Appalachian Trail passes through the Smokies on its way from Springer Mountain, GA to Mount Katahdin, Maine. Many of its thru-hikers cite the Smokies as their favorite section of trail. There are other trails, too – 900 miles of them, in total. (Yes, you read that mileage figure correctly.) A few of those trails will receive a brief mention in later paragraphs, but my recent visit to the park in general – at a time when the fall foliage was perhaps five days past its peak – reminded me that this park, a gem, is, nonetheless, an imperfect place. Great Smoky Mountains National Park (GSMNP) is, according to the park’s own website, the most-visited park in the U.S. park system. Human incursion, and the traffic congestion, air pollution, and commercial over-development that follows, has left its footprint on the land. In November, 2016, arson in the Chimney Tops area of the park led to 14 deaths, and the park will long bear the scars of this devastating act. Mother Nature herself plays Russian roulette sometimes, too; flooding, snowfall, and other acts of weather do their own damage, although, lower carbon footprint notwithstanding, there is less that we can do to appease the spiteful weather gods. I am already six paragraphs in and I can tell you that this will be a long post as I write about the Good, the Bad, and – yes – the Ugly of this beautiful and complicated national park. Spoiler alert: there is much more of the former than of the latter.